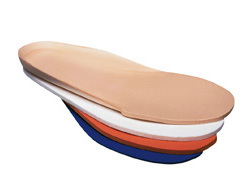 Reliable Pressure Relief at the Foot with Special Insoles and Insoles for our Orthopedic Shoes. Products for the Toes. Acute injuries of the foot require immediate treatment to facilitate the best outcome. This is exactly why temporary orthopedically correct solutions for urgent care remain so important. In the case of custom diabetic-adapted shoes, the best long-term solutions require time and professional expertise. DARCO's time tested proficiency has allowed us to integrate the latest advancements and technology into our products to continually improve the effectiveness of long term solutions but even more importantly, to elevate the quality of interim solutions. 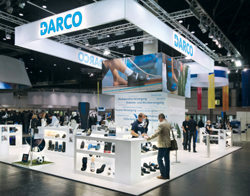 By combining therapeutic shoes with the most effective insoles, DARCO has create a modular system the can meet the needs of many. 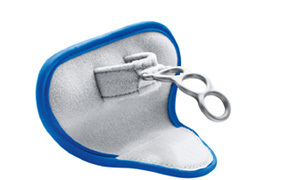 The DARCO insole systems provide dependable off-loading solutions for acute care and beyond. 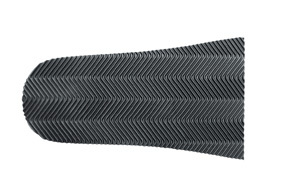 Our modular insole strategy allows for selective plantar pressure relief. 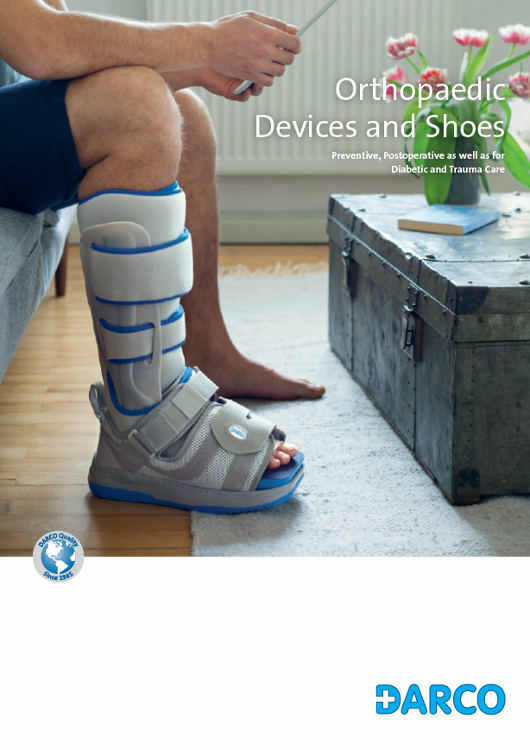 This is especially important after forefoot and midfoot surgical procedures and addressing the unique dynamics of the diabetic foot. 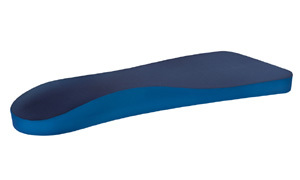 We have developed an insole system specifically for the diabetic foot. The diabetic patient is distinctively more sensitive to plantar pressure and requires a system that can be altered easily. 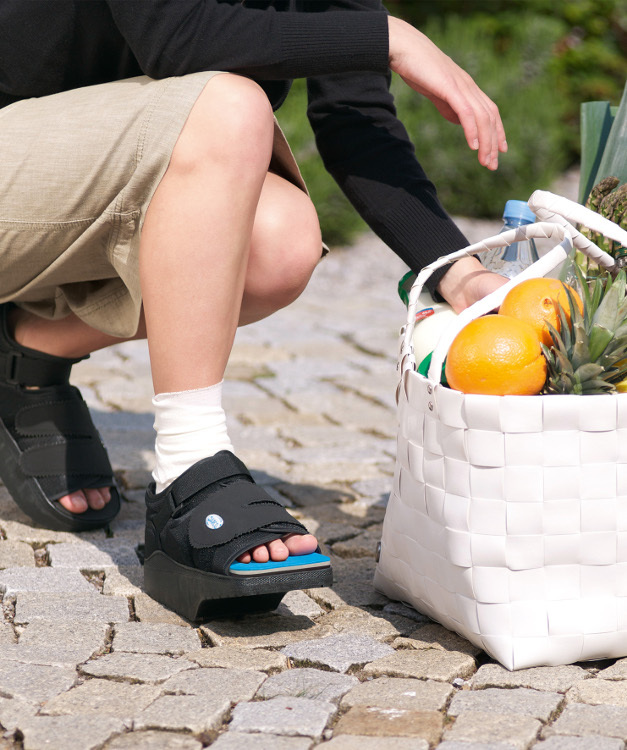 We are continually seeking the most progressive solutions for foot care and over-all wellbeing. 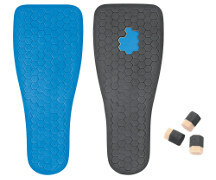 Insoles, Outsoles, Toe Plates and Toe Caps. 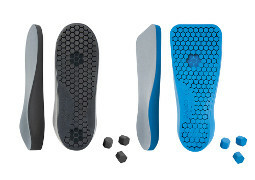 Modular insole developed for plantar pressure redistribution. After forefoot and midfoot-operations. Protects the toes from exposure. Increased wearing comfort.